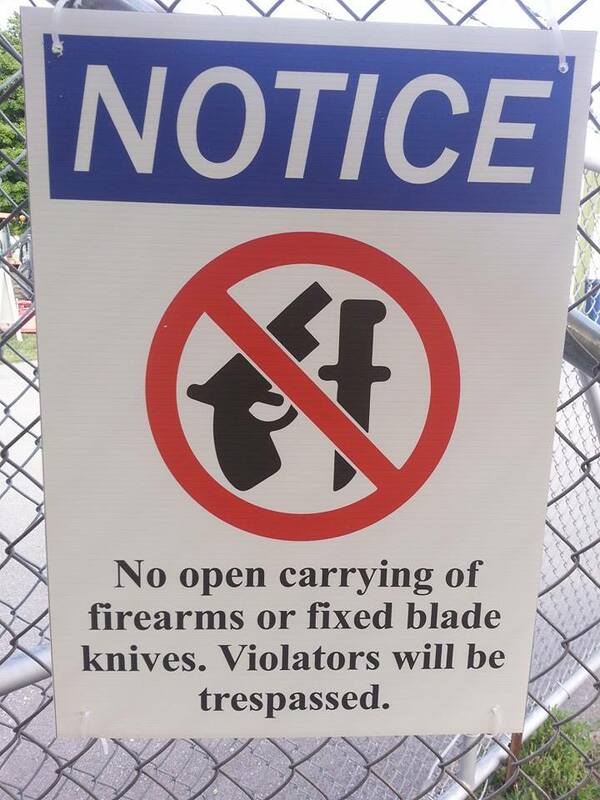 Open carry folks, if you want to be ‘trespassed,’ try going to the fair. The Northwest Michigan Fair is on in Grand Traverse County, and new signs at the fairgrounds offer a warning (Or and invitation). We realize that everyone’s a little different, so it MIGHT be something a few operatives in the MiGOP (GLEP, Freedom Fund) would actually enjoy. The fair runs through next Saturday. H/T to Andy Marek for photo.